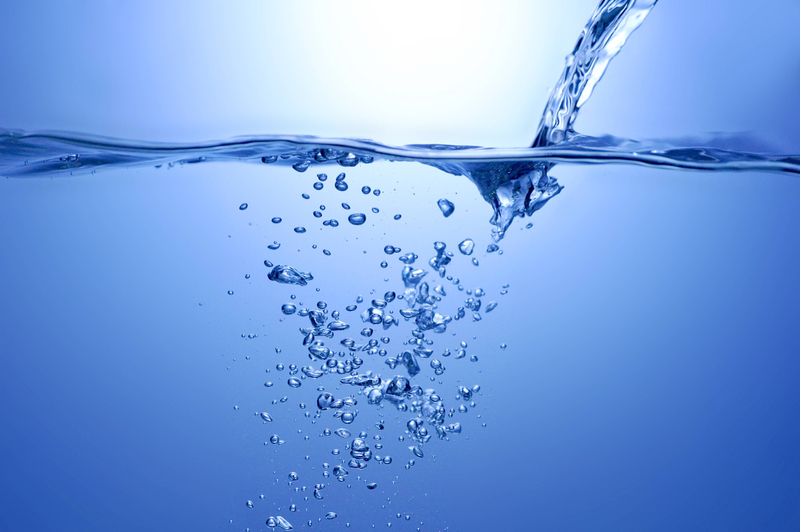 Have students try these activities to expand their knowledge and interest in Water. Have students observe or take part in these water-related activities demonstrating the water cycle. Pour several cups of water in a pan. Cover the pan with a glass-top lid. Have students observe from a safe distance as the water boils and vapor condenses on the lid. Ask students to place a saucer of water in a sunny window and to observe the saucer at the beginning and end of the day. Suggest that students fill a glass with ice water and watch as water condenses on the outside of the glass. Encourage students to explain what takes place in each activity in terms of the water cycle. The highest waterfalls, the deepest lakes, the first person to ski-walk across an ocean—the water story is filled with record-breaking events and extremes. Have students prepare a Water Records Book. They can record all kinds of water-related records. Encourage them to include graphics in their record books. Have students choose poems or songs that have water as their topic. They might choose, for example, nursery rhymes such as “Rain, Rain, Go Away,” poems such as Coleridge’s The Rime of the Ancient Mariner, and songs such as “Row, Row, Row Your Boat.” They can perform the songs and read the poems for the class. Jacques Cousteau, Robert Ballard, and Sylvia Earle explored the ocean depths. Have students do research to learn more about these oceanographers and their contributions to underwater research. Have students prepare brief profiles of one of these or other well-known oceanographers. Multiple-meaning words are words with more than one meaning. Homographs are words that are spelled alike but have different meanings and derivations. Some homographs are also pronounced differently. Have students identify words in Water that have multiple meanings or are homographs. Ask them to give the meaning of each word. For example, they can define rime as in The Rime of the Ancient Mariner and rime as in “Rime is frozen water vapor.” Other examples of multiple-meaning words and homographs are compact, desert, bog, concrete, and point. Suggest that students prepare a three dimensional graphic depicting the water cycle. They can use cotton balls for clouds and shreds of plastic wrap for rain. They might use watercolors to color clear plastic shelf liner for bodies of water. Have students prepare a Water map of North America. The map can show the continent’s major river systems and lakes. You may want to review how cartographers use color and lines to show bodies of water on a map. Remind students to provide a map title and a key for their maps. Have students find examples of artwork that features water. They might display prints of Hudson River School landscape painters or seascapes by Winslow Homer and others. Ask students to provide the name of the painting and information about the artist as they show the prints they present.